On 15 December 2006, the Lok Sabha passed by voice vote the Scheduled Tribes and Other Traditional Forest Dwellers (Recognition of Forest Rights) Bill, 2005, seeking to recognize and vest the forest rights and occupation in forest land of forest-dwelling Scheduled Tribes and other traditional forest-dwellers. The Draft Scheduled Tribes Bill (Recognition of Forest Rights) Bill, 2005 was put to Public for Views and Suggestions on 03/06/2005. Once the Draft Bill was out, social groups and environmentalists believed that the Bill, if implemented in the present form, could lead to social division while wildlife enthusiasts feared that access to the forest would harm wildlife. The Draft Bill dropped forest-dwellers, including tribes not scheduled in some areas, Dalits and other backward communities who are linked to the forest, for livelihood needs. This, as suggested by Souparno Lahiri of the Delhi Forum, could create conflict among the forest people. “How can you give rights to one community in a forest village and ask the other to leave, if it fails to verify it’s claim of being forest-dwellers”, Sanjay Bosu Mullick of the Jharkhand-based Jungle Bachao Andolan had asked. “It will create a social division in a village where different communities have been living in peace for decades. The Government would take away the right to food and work from the people who would be asked to leave their habitat,” he had added. The draft was also not clear on how common property resources like pastures and forests suitable for “jhum” cultivation would be recorded, and protected within the framework of 2.5 hectares per family. In fact, the biggest drawback of the draft was that it confused Scheduled Tribes with adivasis and forest-dwelling populations of traditional communities the latter of which includes large number of non-scheduled populations as well. The end result would have been that the Bill, in its existing form, would have been thoroughly unacceptable to a large section of India’s forest communities, and unimplementable in other areas. The wildlife activists had opposed the Bill on the ground that access deep into the forests would not be in the interest of the wildlife that has already been displaced from its habitats due to urbanisation. 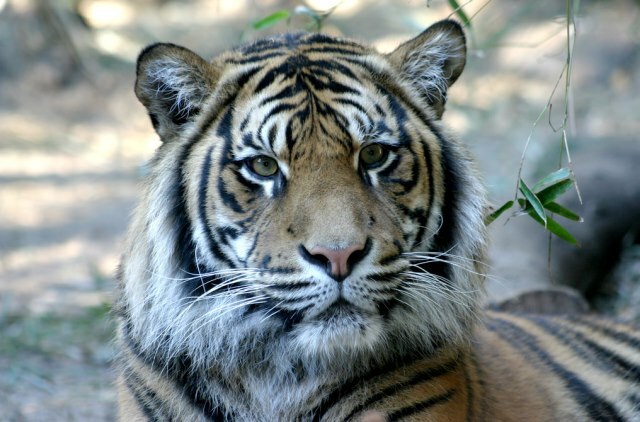 “We will have to study the Bill and will take it up at the relevant platform, if it is endangers wildlife,” Sunita Narain, the then chairperson of the Task Force on Tigers had declared. The Ministry of Environment and Forests, on the other hand, had been quietly opposing the draft by saying that 16 per cent of the country’s forest cover would be lost. Consequently, the redrafted Bill is adopted with several important amendments to the one tabled in 2005 and includes other traditional forest-dwellers also instead of only the Scheduled Tribes. The cut-off date, too, has been fixed as December 13, 2005 as against October 31, 1980 in the original Bill. The forest dwellers would have to be residing in forest land for three generations or 75 years for entitlement to land rights and the rights to collect and market the forest products to the dwellers. Now, each family would be entitled to four hectares of forest land as against 2.5 hectares envisaged in the previous Bill. It should be noted here that while most of the Social Problems of the Draft Bill were looked into and taken care of, the Environmental consequences that may outcome have largely been overlooked or left on fate to be precise. The Tribals have definitely been the best of conservationists but the world is changing fast and the Tribals aren’t untouched. In this wave of change, the Bill could actually LEGALIZE the destruction of our forests! FORESTS AND TRIBALS: A symposium on the proposed bill recognising tribals rights on forest lands. PrevCSE Looking for Student Volunteers! NextHow Would You Like Your Name Carved On Your Body? all type of wildlife lost in bundelkhand but gov. not work. any body doing work in bundelkhand wildife call me.